Hallowe’en traces its roots back to the ancient Celtic festival of Samhain, which takes place on the 1st of November and marks the end of the summer harvest period and the onset of winter. Ancient Celts believed that on the 31st of October, the dead would rise and walk amongst them. It is believed that the name ‘Hallowe’en’, a Scottish contraction of All Hallows’ Eve (All Saints Day) first entered common parlance in Scotland in 1745. Hallowe’en in Scotland symbolised the boundary between the world of the living and the world of the dead, and is all about witches, spirits, and fire. It’s not hard to understand why Hallowe’en continues to be important to the people of Scotland. From Shakespeare’s witches in Macbeth and Robert Burns’ poetry, to the trials of women accused of witchcraft, much of our country’s history features the occult. To this day there is a special atmosphere in many parts of Scotland, and a number of Hallowe’en traditions which were born in the pagan times have endured…. To keep away the evil spirits, people would extinguish fires in their homes and light a large bonfire in their village. An early version of pumpkin carving first appeared in Scotland during the 19th century when ghastly faces were carved in potatoes and neeps. These were known as “tattie bogles” or “potato ghosts”. Today in Scotland we still make lanterns, either made from a carved out turnip or the more modern pumpkin. Another fun Hallowe’en tradition is dookin’ for apples, a game which involves picking up an apple from a bowl of water without using your hands. This dates back to pagan times when the ancient Celts believed apples were sacred. Until recently, ‘trick or treat’ did not exist in Scotland. Instead children would dress up as evil spirits and go guising or galoshin. According to folklore, this allowed them to venture out safely without being detected by wicked ghouls, as they would simply blend in with the spirits. Children would then call at houses, where they would receive an offering to ward off evil. Today, rather than simply just knocking on doors, children perform a party trick such as a song or a dance, before they are offered a treat which could be fruit, sweets, or money. 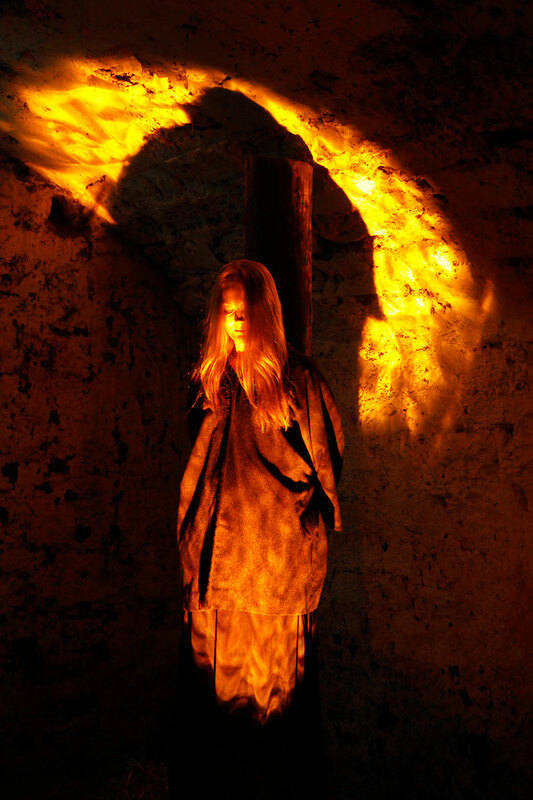 This Hallowe’en at The Real Mary King’s Close we will be exploring the history of Witchcraft in Scotland with our special ‘Condemned’ tour. Condemned offers a unique insight into Edinburgh’s fascinating history with the occult, telling the stories of its infamous accomplices and most ardent opponents. Join a character guide on a journey, documenting how and why attitudes changed over time. The final performance of Condemned will take place on Thursday the 26th of October at 22.15pm and is priced at £16.95 per person. Advance booking is recommended and tickets can be booked online at www.realmarykingsclose.com, by phone on 0131 225 0672 and in person at The Real Mary King’s Close.